myLSU Portal: How Do I Access the Portal Search Engine? 2. 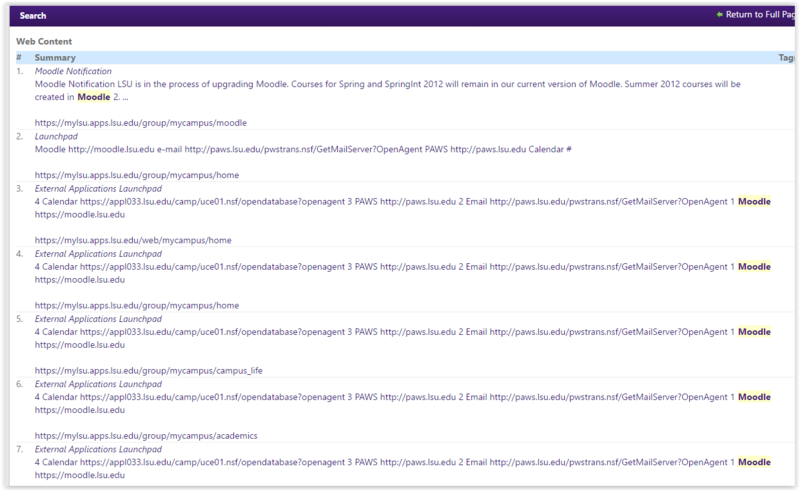 You will find the myLSU search box at the top middle of the page. 3. Type what you would like to search for in the search box. In this example, we searched "Moodle". 4. These are the search results from our "Moodle" search.